After a fatal car crash killed two young moms and a 9-month-old baby last month, a photo taken at the scene of the crash is bringing peace to the families and friends of those involved. 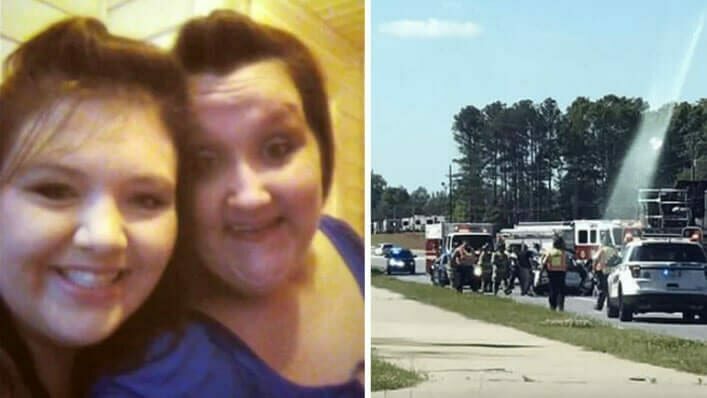 23-year-old Hannah Simmons was driving in her hometown of Gainesville, Georgia, with her baby daughter, A’lannah, and 28-year-old friend Lauren Buteau when she lost control of her vehicle. The wreck caused an extensive backup on the highway, causing many drivers to be stuck, at the mercy of emergency crews. One driver, Anisa Gannon, was on her way to work, and decided to snap a photo of the scene as proof that traffic made her late. Anisa later showed the photo to her aunt, Tara Noble, who immediately saw more than just a tragic car accident and a mess of clean up crews. 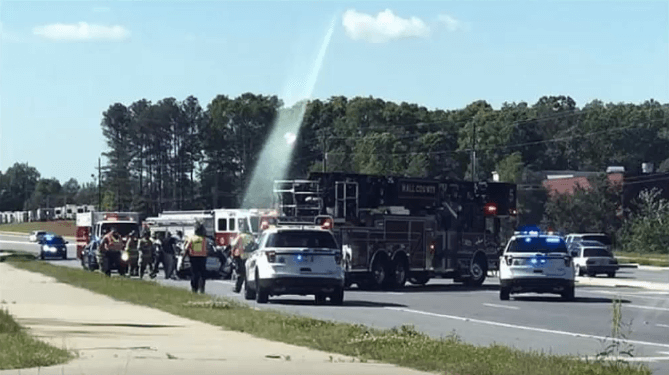 Amidst the scene of wreckage appeared a beam of light, shining from the sky onto the pavement. Further, two small orbs can be seen within the beam—almost as if the two women were headed home. She was rocked to her core after seeing the image, and felt compelled to reach out to the families of the crash victims. Tara’s hope was that the photo might bring them a sense of peace, and help them through their grieving process. Hannah’s mother, Judy Simmons, says that the photo has been the ultimate gift in their time of healing. Lauren’s aunt, Jodie Carter, said that she was completely speechless. She could have never imagined the impact that a photo could have on their families. Those who don’t believe in Jesus Christ, and His peace which surpasses all understanding, may discredit the image. But even if it is a “glare,” one thing is certain—our God loves his people, and He is the almighty comforter. The immense comfort that the women’s families have experienced amidst tragedy is a true testament to the love of Jesus Christ.